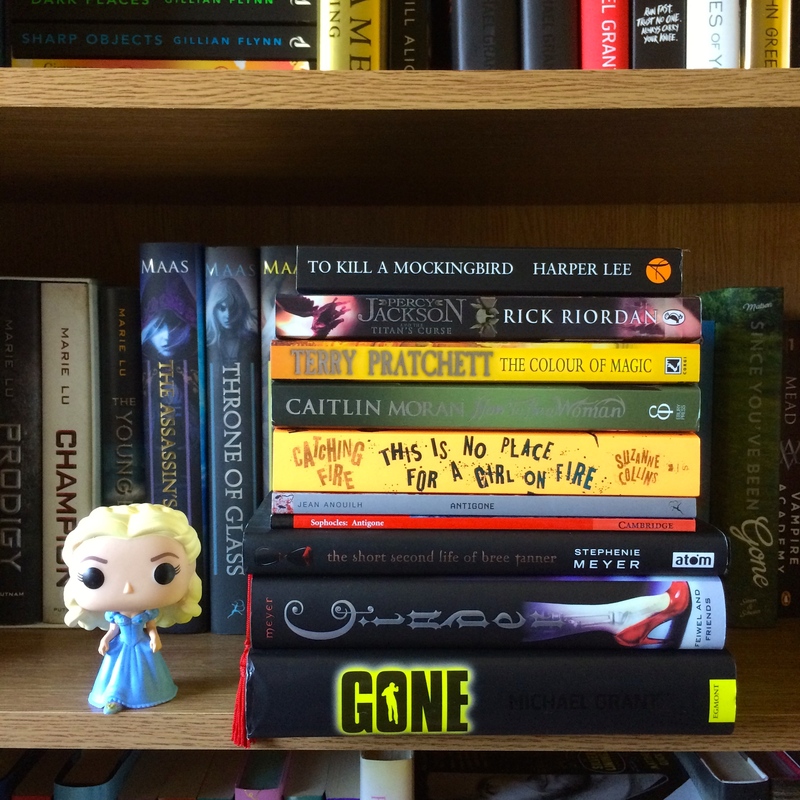 Another month, another TBR list! This month I am focusing solely on my current reads (the first five listed) and books that tick off categories for the Reading Challenge (the last five). Hopefully I can make some serious progress this month! My aim is to finish at least four books this month, and a few of them are fairly short, so I am quietly confident in my ability to do so. I’m most excited about delving into “Catching Fire” by Suzanne Collins once again, as it’s one of my absolute favourite books, and it’ll get me all excited about ‘Mockingjay Part 2’ hitting theatres next month! !